This mini mixer takes up minimal bench space, while providing maximum mixing efficiency. Capable of supporting loads of up to 4 pounds, this fixed speed orbital mixer is small but powerful. 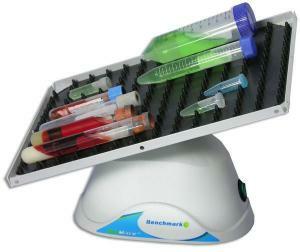 With 3D nutating movement, it will agitate your samples gently, but thoroughly.